Msambichaka, Lucian A., John Mduma, Onesmo Selejio and Oswald J. Mashindano. Msambichaka, Lucian A., John Mduma, Onesmo Selejio and Oswald J. Mashindano eds. 2016. 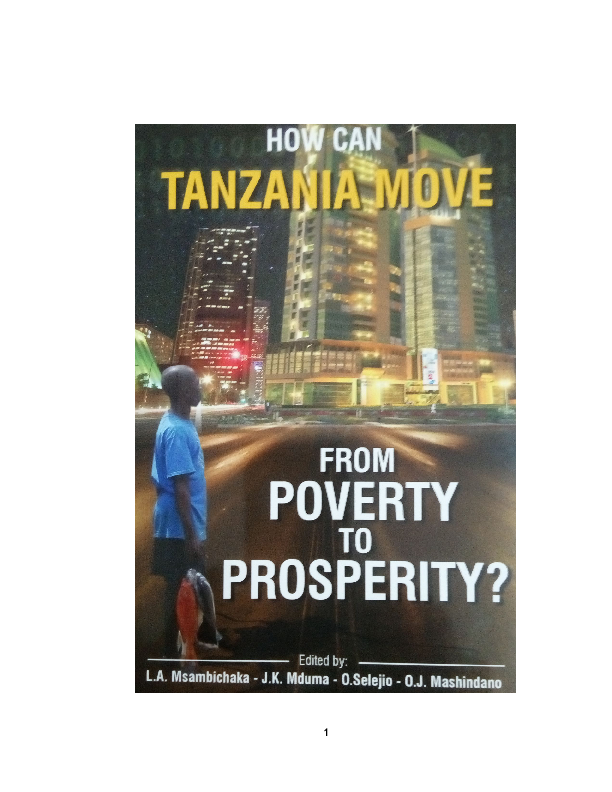 HOW CAN TANZANIA MOVE FROM POVERTY TO PROSPERITY Published by Dar es Salaam University Press. Tanzania (Mainland) has 30 regions with varying degrees of progress and poverty. The country has passed the half century mark of the life of a nation, having attained its independence in 1961. In reflecting on the life span of Tanzania as a nation, and since the 5th Phase Government is in the making, it was considered timely that a review of the state of the country (in relation to other countries that are successful transformers) is carried out with emphasis on how to move from poverty to prosperity. For the authors, the major quest when writing their respective chapters was that of trying to find sustainable solutions to the country’s woes. Most know what poverty means, and how rural life looks like, as most have been raised in rural areas. So they have written their contributions with a strong desire of helping the many Tanzanians so that they turn the corner towards economic prosperity. The corner could be sharp and the road harder, but it will probably lead to a better future. The book has been written for Tanzanians and Tanzanian policy-makers and for all those who want to see Tanzania moving forward. 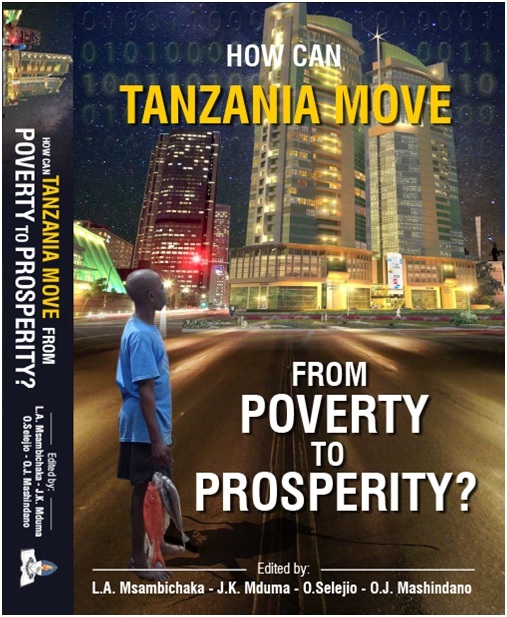 The book contains comprehensive reviews that indicate how Tanzania got where it is, case studies, observations, messages and non-ambiguous recommendations for sustainable economic growth. The lives of close to 50 million Tanzanians rests on getting the right solutions to the varied challenges; ranging from the economy to environment, sports and culture, greater representation, government accountability and transparency to a freer media. After more than five decades of economic struggle we hope that this book will provide an overview of the many salient challenges facing a developing Tanzania that has throughout the decades managed to sustain peace and stability. Ours is just a wake-up call for a Healthy, Happy and Prosperous Tanzania. If others did it, why not Tanzania?